Lawyers for Gretchen Carlson, who is suing Fox News boss Roger Ailes for sexual harassment, say Ailes is the "Bill Cosby of media." Ailes' representatives say Carlson's attorneys are irresponsible publicity hounds. On Saturday, New York magazine published allegations of inappropriate behavior by Ailes from six other women, two of whom spoke on the record. Three hours later Ailes' attorney Barry Asen responded, "It has become obvious that Ms. Carlson and her lawyer are desperately attempting to litigate this in the press because they have no legal case to argue. The latest allegations, all 30 to 50 years old, are false." How, Carlson's attorneys asked, did Asen find out so quickly that the charges were all false? "Calling these women liars because they chose to speak out is despicable," attorneys Nancy Erika Smith and Martin Hyman said. "Bullying and threats will not silence these brave women." And so it continues between the two sides, three days after Carlson originally filed her lawsuit in a New Jersey superior court. The suit alleges that Ailes "unlawfully retaliated against Carlson and sabotaged her career because she refused his sexual advances and complained about severe and pervasive sexual harassment." Ailes has forcefully denied the accusations. He says her contract was allowed to expire because her show's ratings were relatively low. Carlson's representatives are stoking public interest in the case with rapid-fire statements to the press. Meanwhile, some of Ailes' top employees are speaking out in defense of the Fox News chairman and CEO. On Saturday prime time host Sean Hannity dismissed the New York magazine story and called the reporter, Gabriel Sherman, an obsessive "stalker." Sherman, a dogged reporter, wrote the 2014 book "The Loudest Voice in the Room," a biography of Ailes. Fox officials view him as an adversary. Carlson's attorneys put Sherman in contact with the six women who he quoted in Saturday's story. According to the law firm, more than a dozen people contacted the office after Wednesday's filing, wanting to share similar stories of harassing behavior. It is unclear if the stories have been vetted. None of the six women quoted by Sherman have taken legal action. But "taken together," Sherman wrote, their accounts "portray Ailes as a boss who spoke openly of expecting women to perform sexual favors in exchange for job opportunities." The encounters date to the 1960s, 70s and 80s, when Ailes was an influential political strategist and television producer, years before he launched Fox News in 1996. Kellie Boyle, a public relations consultant, alleged that Ailes told her in 1989, "You know if you want to play with the big boys, you have to lay with the big boys." Boyle asserted that she declined his advances and missed out on a job opportunity. A friend of Boyle's backed up the account. Anne Barretta, who identified herself as a "college pal" of Boyle's, tweeted that she remembers Boyle "telling me her nasty experience" with Ailes. Carlson shared the New York magazine story via social media on Saturday. Later in the day, her attorneys commended the women for speaking out and said "We are hearing from others." Hannity sought to rebut the story. In a series of tweets, he said "I have spoken to many woman [sic] who work at Fox that have the most amazing stories of how kind Roger is to them." Two other Fox News hosts, Greta van Susteren and Jeanine Pirro, have also defended Ailes publicly. Fox News is not named in the suit, only Ailes as an individual. Fox's parent company, 21st Century Fox, says it is conducting an internal review. Fox's top executives are Rupert Murdoch and his sons James and Lachlan. On Saturday, a spokeswoman for the Murdochs failed to respond to a series of questions about the internal review. As for Carlson's lawsuit, Ailes' first legal response came on Friday evening, when Asen filed a motion in federal court to have the case sent to private arbitration. "Carlson had an arbitration clause in her contract, stating that any employment dispute regarding her employment at Fox News must be done via confidential arbitration," Asen said. 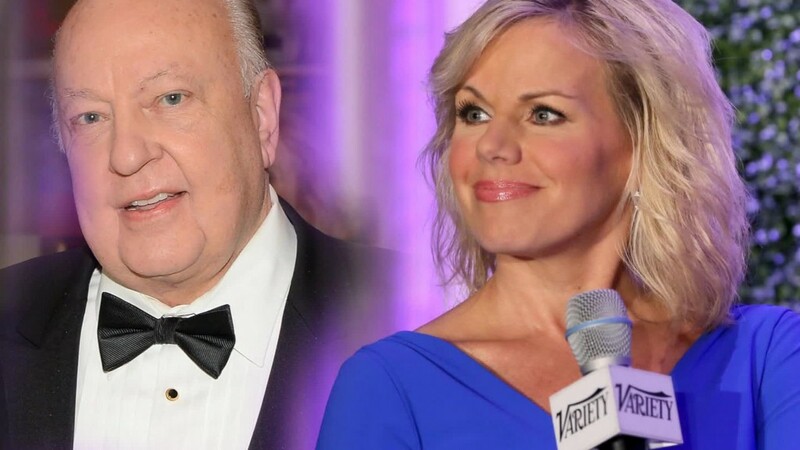 Carlson's attorneys responded by saying that "Gretchen never agreed to arbitrate anything with Mr. Ailes and the contract on which he relies does not mention him and is not signed by him." They say they want a "public jury trial" while Ailes wants a "secret arbitration proceeding." "It is disturbing that the head of a large media company would try to silence the press and hide from the public a matter of such importance," Carlson's attorneys said.